American visionaries with a shared perspective. 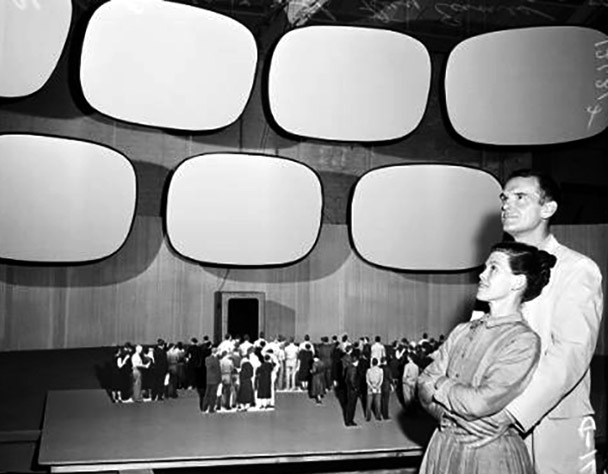 Collaboration Project – American National Exhibition, Moscow 1959. Current exhibitions of these designers’ visionary works in Milwaukee WI, Los Angeles CA, and Oakland CA. 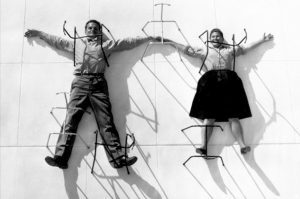 Among the most influential American designers of the mid-20th Century, husband and wife team Charles and Ray Eames — shared with their contemporaries — a vision of life made better through design and technology. During the course of their illustrious careers, the Eameses collaborated with other visionaries to produce a vast array of pioneering and influential projects, from architecture to interior, furniture and product design, from photography and film, to ground-breaking multi-media installations and exhibitions. 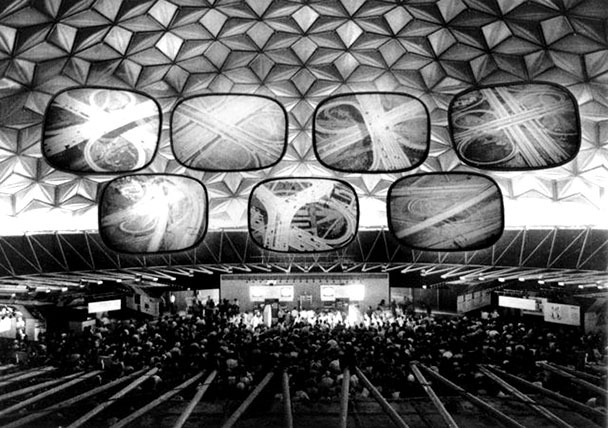 The seven 20′ x 30′ screens were the focal point within the 250′ geodesic dome designed by Buckminster Fuller. The exhibition was a monumental success. Over six weeks, more than three million Soviets caught a glimpse of mid-century American life. 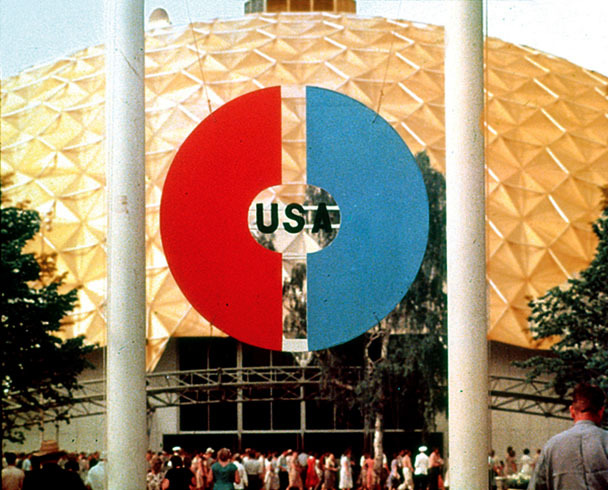 Upon first viewing the imposing geodesic dome, Soviet Prime Minister Nikita Khrushchev said, ”this dome is very interesting, very good, worth copying many times over in the Soviet Union,” suggesting Mr. Fuller “should come here to lecture our engineers on his invention.” The US State Department responded swiftly, flying Buckminster Fuller to Moscow, where he gave a series of lectures on design and engineering within his geodesic dome. If you’re also a fan of the enduring principles of modernism, there are three exhibitions currently showcasing the varied works of these iconic American design visionaries. The World of Charles and Ray Eames – opening this Saturday, October 13th and showing until February 17, 2019. 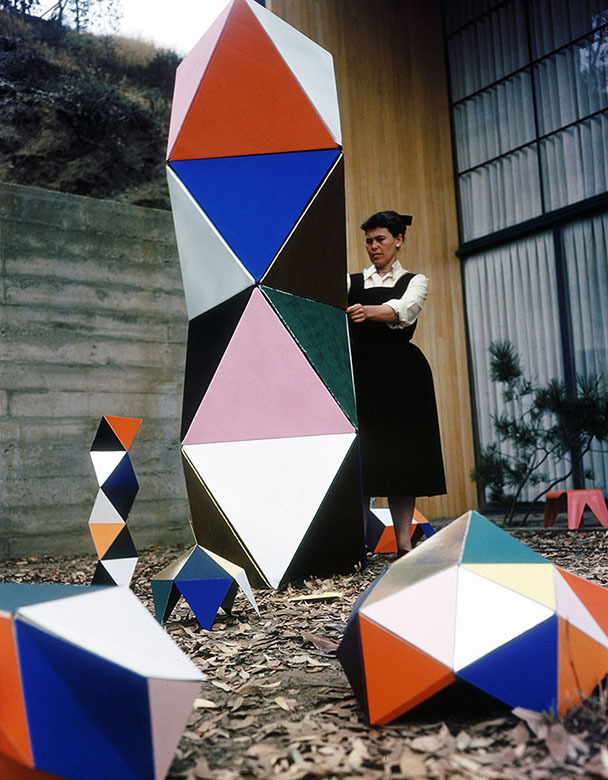 If you’re in Los Angeles before November 3rd, 2018, make time to see an elegantly curated exhibition of some of Buckminster Fuller’s visionary works. The two hundred–plus works in this exhibition are organized into three themes — the American home, child’s play and corporate approaches.” The exhibition features work by George Nelson and The Eames Office. Through January 6, 2019 at the Milwaukee Art Museum and from May 5 through August 25, 2019 at the Denver Art Museum. 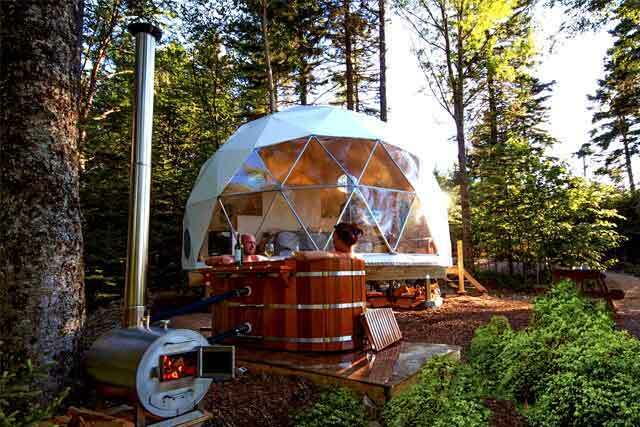 Next Post:Domes Survive Wildfire and Flood!